For my first Ingredient Spotlight post, I celebrate the humble cucumber! I highlight some of its health properties and reveal some of my favourite recipes, giving you new ideas on how to include delicious, healthy and seasonal produce into your diet. Once out of the water, allow your body to calm before adding moisturisers or sunscreen! While a lot of people don’t eat breakfast first thing in the morning but, if you want to lose weight this is not a great way to start as it encourages you to over-eat later in the day. When the body is starving your will to make healthy choices is diminished and you will find yourself mindlessly eating high-fat or high-sugar alternatives. Our bodies are not designed to run on ‘empty’ or to survive on junk foods. It is important to eat the best quality breakfast calories you can by avoiding high fat pastries, high sugar processed cereals and muffins. Eating two to three main meals a day with a couple of snacks stabilizes blood sugar levels and helps to burn more calories throughout the day. However, for those who are Type 2 diabetics or obese research has shown that not eating breakfast can actually be helpful in controlling high blood sugar levels. · Drinking room temperature warm water with lemon juice first thing in the morning is the best way to hydrate your body, helping to balance ph levels and reducing inflammation. Other options such as tea or a little coffee early in the day won’t do any harm as a caffeinated pick me up but only after water. · Left over dinner for breakfast is an excellent option – especially if you are short of time. · Good sources of protein, fibre and starchy foods include: eggs, granola, fresh fruit, berries, melons, apples, onions, mushrooms, peppers, nuts & seeds; all have high levels of vitamins and minerals. · Remember, if you have a good meal in the morning, you should reduce the size of your lunch - if you eat one at all – but a light snack may be more appropriate followed by a small supper. · If you love smoothies, better to make them yourself – you can add a nutritious source of protein, berries and healthy fat such as olive, linseed or hemp seed oils that will fill you up and provide energy for a busy day. For most of us eating a nutritious breakfast will give you an excellent start to the day! Who would have thought that our summer would turn out to be such a sizzler and I must say its brilliant to see such a positive mood in old London town. Enough though the heat is welcome, we still need to be careful with our health and make sure that with all the excitement we don’t over heat and compromise our ability to enjoy the season of joy that we love. 1. Start your day earlier when sun rises to get the most of the day – I wake up around 5am and work until 2pm. It is not only cooler but your head will feel a lot clearer if you tackle the more difficult tasks whilst the phones are still quiet and the city has not fully woken from its slumber. 2) a.	Like-wise with exercise – try to do this at the coolest part of the day (in the morning). The temperatures are not dropping enough at the moment in the evening to consider running after a day of heat. b. Reduce the intensity of your workout – running for long periods can cause heat exhaustion post workout so go for a light jog or run and make sure you cool down properly afterwards. Using a heart-rate monitor is a great way to help you regulate the intensity of your workout. c. Is it a great time to get involved with summer water sports such as swimming or aqua aerobics or even try walking a lot more to make sure you get a full hit of vitamin D to store for the winter. 3. Drink plenty of fluids including water and herbal tea – if you want to drink a hot drink make sure it has cooled to just above room temperature before consuming. I am still not a believer of drinking ice-cold drinks, even in the greatest heat due to its negative effects on the stomach. 4. It is important to not over consume cooked food. Summer is the optimum time to consume highly nutritious raw vegetable product without compromising our health. Salads, fruits, vegetable smoothies and lightly steamed vegetables are all readily available to add a much needed vitamin boost to our diets. If you do eat cooked foods, make sure that they, too, have cooled sufficiently before consumption. 5. Sugar addicts take heed – avoid refined sugars; there are plenty of naturally sweet fruits available full of fibre, vitamins and minerals to help reduce your sweet tooth. And finally, remember that all fires can burn out! So try to pace yourself when you’re out and about: moderation is advised for alcohol, barbeques and sun exposure to help you to make the most of all the party invitations. Summer lovin' . . . Final cold snap . . .
Winter warmers . . . This month began on a high following the birthday celebrations of my 80-year-old Mum! Considering she had a health scare a few weeks earlier, I’m happy to report she was in fine form, surrounded by her brood of eight children, eight grandchildren and various in-laws – it was wonderful for the whole family to show Ivy our appreciation and love; I’m sure you’ll agree – Mums are special people. If you’re having problems getting into an exercise routine before the winter sets in or want to add a bit of variety to your weekly routine then a group exercise session could be just the ticket. 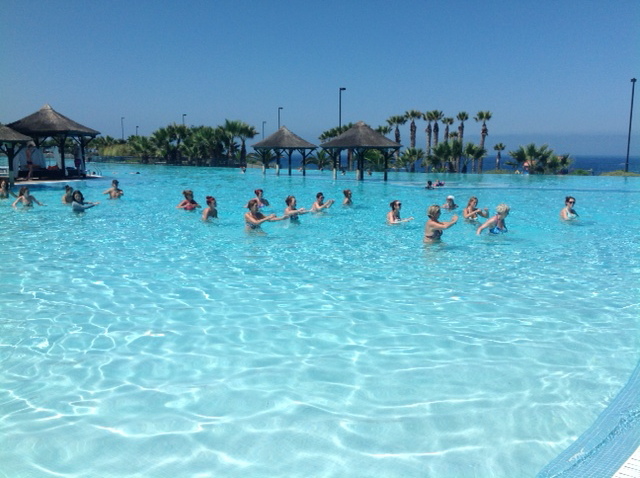 I’m really into whole body conditioning and circuit training or classes which offer you the chance to try different exercises without getting bored. This is not to say that the workouts are easy – quite the reverse; they are a mixture of cardio moves with weighted resistance exercises, which are fairly high intensity. Circuit training is a great fat buster too and as temperatures drop we all need a bit of fire in our lives to keep our energies high as well as keeping us fit. This season, clients are enjoying the challenge of these sessions but you can join my class starting January 7th 2012 – get in touch to reserve your place! As a fully signed up carnivore in the middle of game season, it’s difficult for me to cut back on animal produce. But with so many reports suggesting that high meat diets are unhealthy and contribute to diseases like fatty liver, heart disease and certain cancers, etc, I’m always interested in ways of lowering my intake. To be fair, I only eat red meat or chicken once a week and otherwise I will choose fish, eggs and tofu and beans if I’m pushed as protein options. The main issue is what to eat to increase your protein intake and gain the full eight essential amino acids which our bodies need to get from food. Animal produce offers this in one hit and are called complete proteins. Oats, quinoa, beetroot, tofu and avocados, should be your first port of call – these foods offer complete protein packed with other high value nutrients, such as fibre, vitamins, minerals and essential fatty acids. 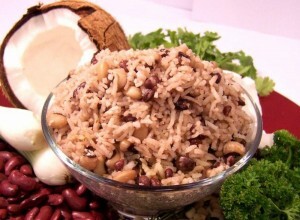 Brown rice, fresh and frozen green peas; chick peas and lentils all have fairly good levels of protein, but need to be combined with each other to form a complete protein – most cultures have a version of this; rice and peas are the great West Indian combo, and three bean salad or rice and lentils are other good options. Assess your diet and think about adding a few of the above foods a couple of times a week – at the very least you’ll add more variety and nutrients to your daily intake while reducing the load on your digestive system which can’t be a bad thing! We’re on the run into Christmas next month so be sure to look out for my tips on how to survive the parties in one piece. Indian summer . . .